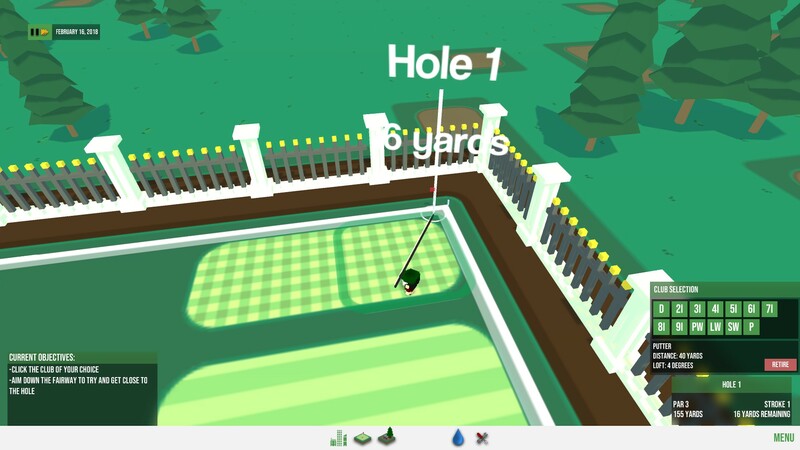 Last summer, I sat down with a very early build of a management sim called Boss Golf. Through the developer's own words, it was an attempt to recreate the charm of such titles as Sim Golf and Rollercoaster Tycoon. 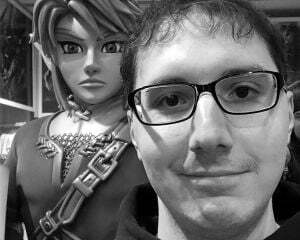 I found the alpha to be charming, though obviously devoid of a lot of gameplay systems. Over the past week, I've been tinkering around with a beta build of the now renamed Resort Boss: Golf. Still retaining the same graphical elements and charm, the title features actual gameplay with systems that function properly. More importantly, though, it exhibits the best features of the older Sims games that I grew up playing. Not so surprisingly, a whole lot isn't that different from the preview I wrote nearly a year ago. The graphical style is still modeled after a kind of voxel appearance and your main goal is to create the best golf course around. You'll plot out holes, build a clubhouse and some hotels, and welcome in guests to hand over money to you. 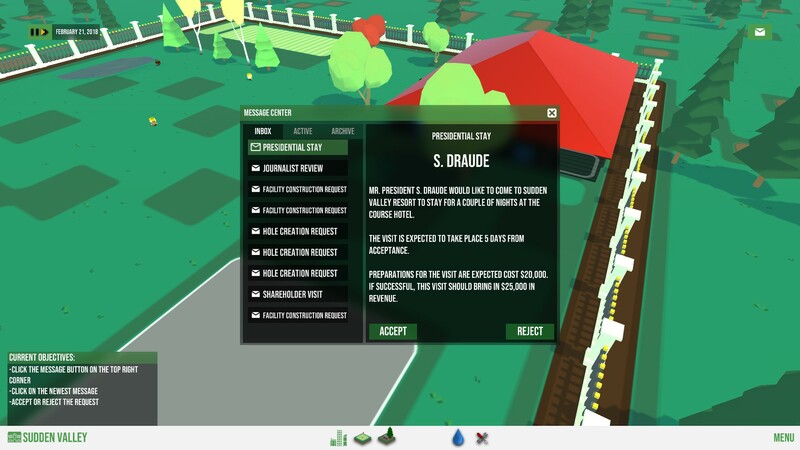 It's classic management sim stuff, just with a style that feels inspired by Minecraft. Some of the features hinted at in the alpha are now present and they are pretty cute. You can inhabit one of the patrons of your course to play out the holes you've created. The golf is incredibly simplistic, but it's certainly nice to try and best your own wild creations. Those creations also don't take 14 years to materialize, as an entire employee hiring system is present. Similar to something like Theme Hospital, you can pick employees based on statistics like their salary demands, or their relative skill level and assign them positions such as groundskeeper or engineer. They'll then tend to your grounds or assemble the various buildings you've laid out on your golf course. 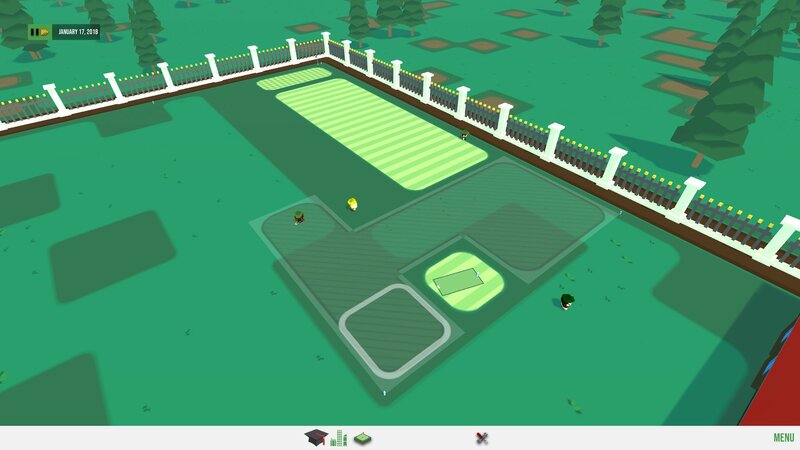 The tutorials included are a bit basic and don't really explain things that well, but building out a clubhouse works almost exactly like The Sims. You'll click the material you want the building to be made out of, then click and drag a rough outline of it on the course. This will then place down an approximation of what your engineer will build once you confirm the size and shape. You can even decorate the buildings with different wallpapers or windows, though you sadly can't go inside and lay down furniture (at least not in the beta). Course building works in exactly the same fashion. You'll pick whether you're plotting out fairway, rough, dirt or a green and just click and drag on the ground. The game will put up a silhouette of your course before you confirm it, so that you may tweak it to your heart's content. It's all relatively simple and there's a certain serene quality to laying down the various tiles. You can then go back and plant a bunch of trees, or create ponds and lakes, which will increase the difficulty of your course a bit. The new HUD works better than the old alpha, as well. Everything is now located at the bottom of the screen with clearly defined icons. Clicking around in the menus, though, doesn’t provide that much feedback. Resort Boss: Golf has a blue square on its game grid that signifies where you'll be placing something instead of popping up a rough outline of the object you’re placing. This leads to instances where you’ll put a tree down, but it isn't in the exact location you want. I also had a problem where the tee for my hole wasn't facing in the direction of the fairway, though that didn't prevent my golfers from teeing off. As well as that small issue, it can be quite confusing as to whether or not you're removing tiles from a building. The game tries to explain this by using a plus and minus sign in the menu, but I couldn't come to grips with wanting to remove single tiles or an entire section with how the cursor worked. In my mind, I expected to see the thin placement cursor from The Sims, but Resort Boss: Golf doesn't allow for nuance in placing tiles. It's either big squares or nothing, which can feel limiting. Still, I can accept these problems because the main experience works as intended. I’m not exactly sure I understand how the "missions" function for gaining money, but the beta didn't offer much beyond the tutorial and a smallish sandbox. At least you can finally expand your course beyond its initial size, which helps when wanting to create a staggering 18-hole behemoth of a resort. I'm sure once the title does launch, the missions will be fleshed out and playing for longer stretches will be a joy. Resort Boss: Golf will be launching next month. Even with some issues, the charm this game exhibits has got its hooks in me. I'm ready to see where it will go.